Jordan Brand is sticking to the traditional “Bred” look with another Air Jordan 1 Mid for the Summer season. 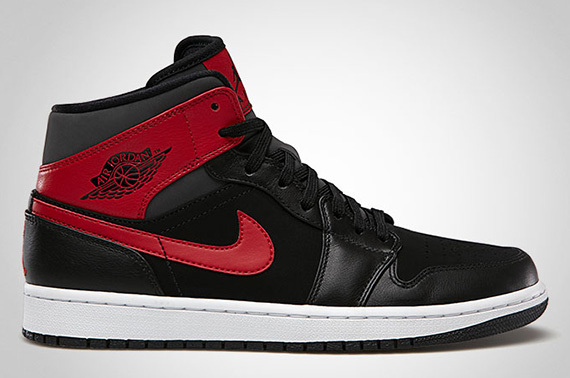 The Mid sports a Black leather upper with hints of nubuck, accented in Red that brings us back to the Bulls Era MJ. These release next month so for those Bulls fans who are looking for some Bred gear for next season, these joints are proper.